KOSCIUSKO — A Warsaw man was sentenced in Kosciusko Superior Three Court Wednesday, May 23, after assaulting a female subject. Miguel Raymond Castro, 221 W. Main St., Warsaw, was charged with criminal confinement, a level 5 felony; and battery resulting in moderate bodily injury, a level 6 felony. On Jan. 29, officers responded to a 911 call from a female stating that she was being held against her will. When officers arrived at the scene, the female subject answered. She said that Castro was inside the residence, and that she had a no trespass order against him. According to the affidavit of probable cause, on Jan. 28, Castro came to the female’s residence and said that he was going to fix items he had broken on Jan. 22. Castro became angry and hit the subject in the head several times. The female was transported to Kosciusko Community Hospital for medical treatment. Medical personnel discovered that the subject had a tear in her left eardrum. During sentencing, defense attorney Austin Rovenstine discussed a Kosciusko Circuit Court case that Castro is currently serving time for in the jail. He asked if it would be possible for the battery case time to be served concurrently to the circuit court case. Judge Joe Sutton said that the sentence must be served consecutively and that Castro would have to return to Circuit Court in order to seek further relief for the consecutive sentences. 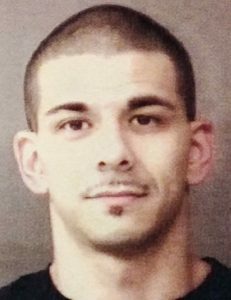 Castro was sentenced to two years at the Indiana Department of Corrections, with one year on suspended probation. The no contact order was terminated.